This post is a part of Top Ten Tuesday, hosted on The Broke and the Bookish. I have been quite the slacker with my blogging, but let’s try to get back in the swing of things with a nice little Christmas list. Some of these are books I’m sure I’m getting from someone or other, but others are likely not. 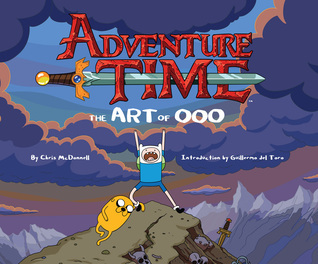 Adventure Time: The Art of Ooo. I don’t always want to own art books, but this is such a wonderful and weirdly faceted show, I’m really excited to see early drawings and how the writers even manage to come up with things. Nine Stories. I failed at reading Seymour, an Introduction, but I love Franny and Zooey and The Catcher in the Rye too much to not try more Salinger. Alloy of Law. I’ve read a Brandon Sanderson blog post that he will be continuing the Mistborn universe with the characters introduced in this book, so I should get on it and read this one (though I’m still rather heartbroken over The Hero of Ages). Elantris. Same thing, more Sanderson. Hyperbole and a Half. I skimmed part of this when it passed through the library, why haven’t I read this yet? Why? It seems brilliant. 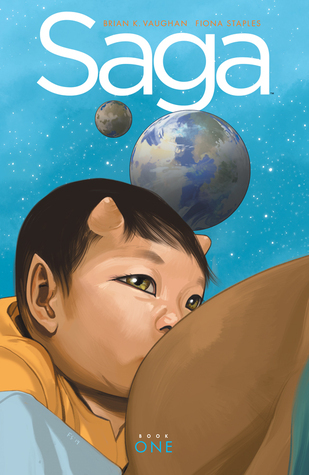 Saga Deluxe Edition. I’ve already read everything in here, but I want to read it again. And what’s that, a hardcover collecting the first three volumes is out? Yes. Cinder. I feel I need some new SciFi/Fantasy YA, and some of my friends and coworkers have rated this book highly. I Shall Wear Midnight. I still haven’t gotten to reading this one, though I said I would. I just can’t imagine a world without more Tiffany Aching to look forward to. The Maze Runner. Another popular, well-received YA I haven’t gotten to yet. Show Your Work. I’ve read this from the library, and I bought Austin Kleon’s other creative advice book, Steal Like an Artist. But I want to own this book, so I can remind myself of some things, and also scribble all over it. Of course, Barnes and Noble gift cards are always welcome. Any books you want to see under your Christmas tree?